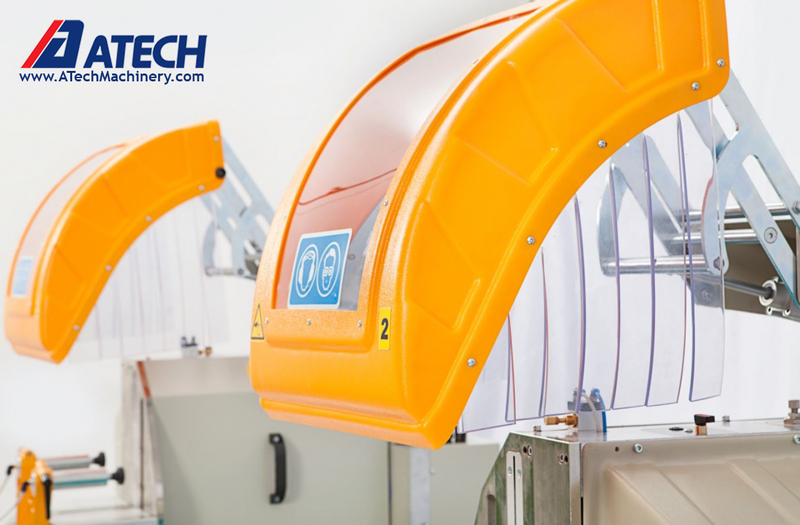 The ATech heavy duty double head saws are designed for accurate, fast and safe fabrication cutting of wood, aluminum, plastic and non-ferrous metals. The saw blade sizes vary between 12” and 24”. There are many versions available like with manual or pneumatic clamps, manual or automatic saw blade feed and also CNC version double head saws with mitering feature. Our double head saws are designed for heavy duty purpose ensuring long machine life. They come with hydro-pneumatic saw blade feed, which provide additional power and accuracy. All double head saws are equipped with pneumatic brakes to ensure cutting results with +/- 0.1 mm accuracy. The CNC version double head saws are equipped with 15” color Touch Screen, USB data port and barcode printer. Optimized cut lists can be uploaded directly into the saw using a data cableprovided with the CNC saw.